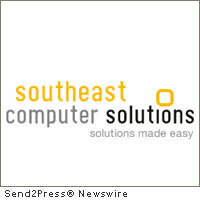 MIAMI, Fla., May 25, 2011 (SEND2PRESS NEWSWIRE) — Southeast Computer Solutions (www.southeastcomputers.com), a leading business partner of Sage Software, announced today that perfume distributor, Tairo International, has selected Sage ERP MAS 200 as its business management solution. Tairo International will integrate their warehouse operations with their back office accounting procedures to achieve better operational efficiencies, create streamlined processes, and gain more accurate and timely business reporting. Tairo International is a leader in fine fragrance and cosmetic distribution throughout the U.S., Caribbean and Mexican Duty Free Markets. The company plans to use the features in Sage MAS 200 ERP to facilitate the distribution process to their U.S. and overseas markets. Headquartered in Miami, Southeast Computer Solutions specializes in implementing ERP, manufacturing, distribution, warehouse management solutions for businesses in the U.S., Latin America and the Caribbean. Helping businesses stay in business for more than 25 years. For more information on ERP systems and leveraging technology please call 305-556-4697 or visit http://www.southeastcomputers.com . Follow Southeast Computer Solutions on Twitter: http://www.twitter.com/SCSolutions and on Facebook: http://www.facebook.com/scsolutions . Original Keywords: perfume distributor, Ralph Ceccarelli, Sage MAS 200 ERP, business management solution, Bryan Hollander, Florida business news, fine fragrance and cosmetic distribution throughout the US, Caribbean and Mexican Duty Free Markets Southeast Computer Solutions Miami Florida MIAMI, Fla.
REFERENCES: Beauty and Spa News, perfume distributor, Ralph Ceccarelli, Sage MAS 200 ERP, business management solution, Bryan Hollander, Florida business news, fine fragrance and cosmetic distribution throughout the US, Caribbean and Mexican Duty Free Markets Southeast Computer Solutions Miami Florida MIAMI, Fla.